There’s a place in the northwestern portion of the San Fernando Valley that has more skeletons than living people. That place is not the Oakwood Memorial Cemetery but rather a little known business called Bone Clones. Located in Canoga Park, Bone Clones have been manufacturing reproductions of bones since 1993. 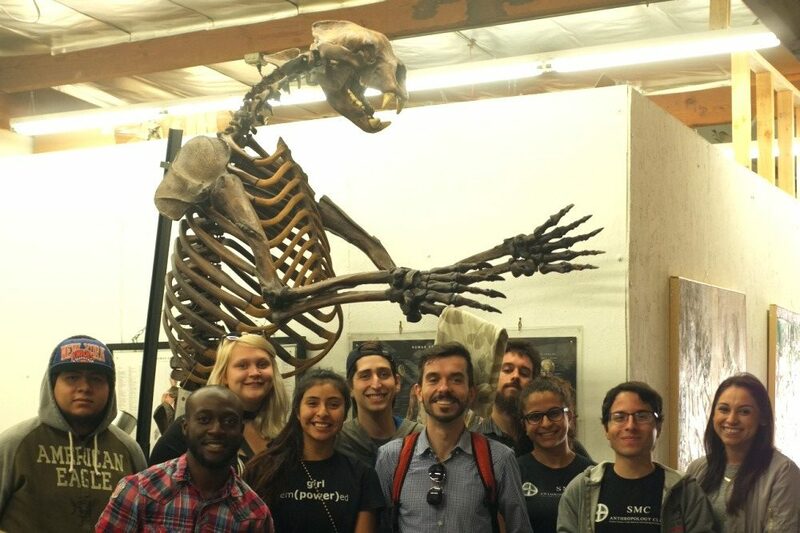 The company make replicas of bones and skeletons, ranging from the giant short-faced bear (pictured above) to the most famous human fossil skeleton known as Lucy. 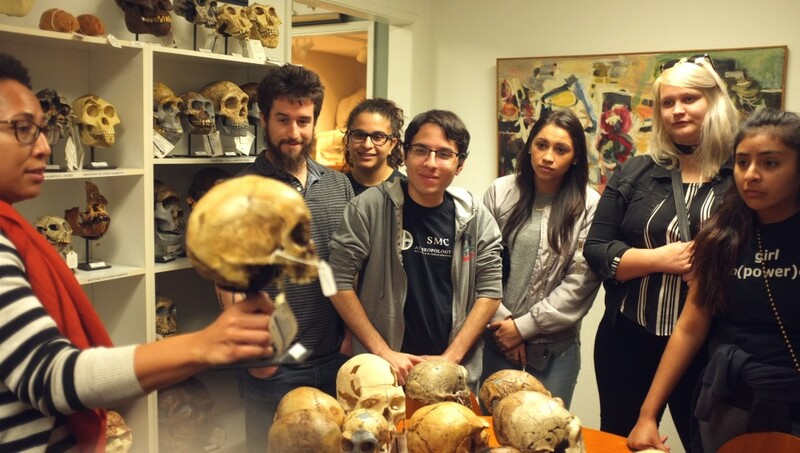 Some of our Anthro students recently had the opportunity to tour the facility. Our captivating and knowledgeable guide on the day was Michelle Tabencki who is an SMC alumna. 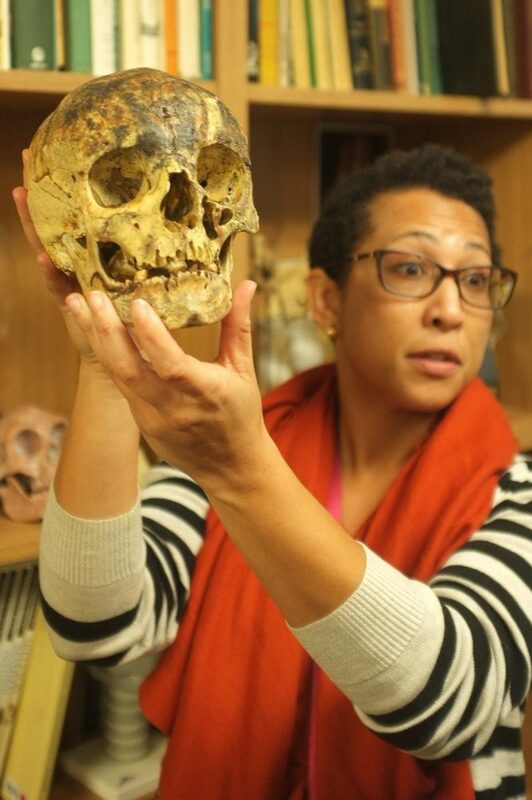 Her passion for bones dates to the time when she took a physical anthropology class at SMC. She took us through the different exhibition areas that displayed all varieties of animal skeletons, including primates, modern humans and a spectacular range of early human ancestors. We got to go behind the scenes and see the manufacturing floor, where a resin is used to bring bones to life before the artists use their paint brushes to add the finishing touches to these life-like specimens. At the end of the tour, we all got bone replica keychains as mementos of the this unique experience. Michelle Tabencki shows off some of the incredible reproductions they have made at Bone Clones. It is not hard not to get excited when learning about our early human ancestors.